Can Ecotourism Save the Planet? Blog first published by the Duke Nicholas School of the Environment. In 1991, the New York Times ran an article entitled: “Ecotourism: Can it Protect the Planet?” You’ll notice that, fifteen years later, I am asking myself the same question. Today, “ecotourism” is not a new term. There is an International Ecotourism Society, the BBC has a special “Eco-tourism” travel section, and a multitude of academic articles debate the merits and demerits of promoting ecotourism in general. The United Nations designated 2002 the “International Year of Ecotourism.” In my own position, I added an “ecotourism” section to the Emerald Coast website, launched an ecotourism blog series, and since my official title is so unwieldy (Marine Economic and Tourist Development Resource Coordinator), usually refer to myself as an ecotourism specialist. 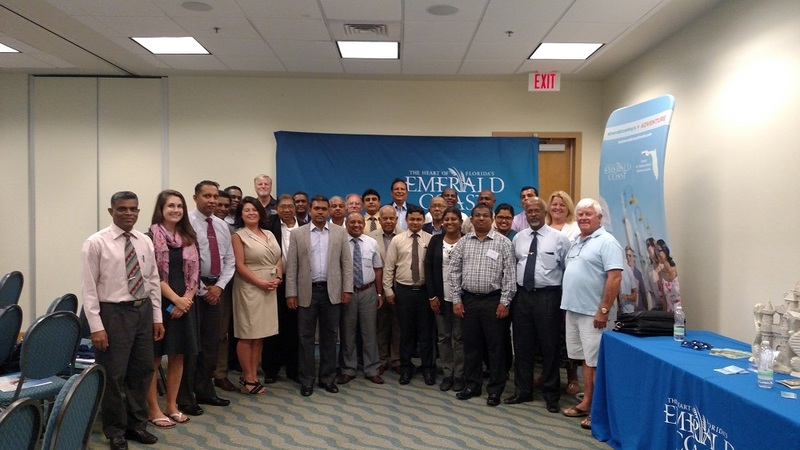 In a recent presentation, I stared out at an audience of Sri Lankan tourism professionals who were taking a trip around the Mid-Atlantic and Southeast. Given the beauty of Sri Lanka, many were already running or would open ecotourism-related businesses, and their insightful questions focused on the same issues brought up in the NY Times article so many years ago and that have been debated ever since. What do you do if there’s an over-exploitation of the resource? How do you deal with waste? How do you market natural resources without hurting them? I was heartened that they were concerned about these problems, and did my best to answer. As in many important things in life, there is a balance. Too much tourism, and you hurt the environment. Not enough, and development or extraction of natural resources could take its place. A group of researchers at Griffith University in Australia quantified this complexity. Using data for nine threatened species (the orangutan, hoolock gibbon, golden lion tamarin, cheetah, African wild dog, New Zealand sea lion, African penguin, great green macaw, and Egyptian vulture), they ran population models that included negative and positive effects of ecotourism. For seven of the species, ecotourism led to conservation gains. However, that means for two others, the overall impact of ecotourism was negative. Oops. Does this make logical sense? Of course. Different environments, different species, different outcomes. But it means ecotourism is not the silver bullet or the great panacea that will save all endangered species and ecosystems everywhere. However, I will still pursue it in my current job and in the future as a valuable potential solution to environmental degradation (plus as a traveler myself!). Used as a tool in the ecology toolbox, ecotourism can connect people with wildlife and ecosystems they have never experienced, while providing sustainable livelihoods to local populations. Also… Is there a possibility of creating elevated hides at the rookery? Getting some Boy Scouts to build it as their Eagle project? The work is ongoing! There should be one in by the end of the summer 🙂 RFP just went out! It would probably hard to get elevated hides permitted, but I’ll ask the FWC next time I talk to them! I actually just did a project for school about ecotourism in Tanzania but instead of focusing on the wildlife I talked more about how the Maasai people were affected. Ecotourism is very interesting and I think if implemented correctly it could really help save our environment.